Just when you’ve finally learned that you can recycle plastic bags, but not pizza boxes, we’re going to come along and tell you that before you recycle anything you should stop and consider if the item can, or cannot be reused FIRST. You might be confused at this point and ask, “Isn’t recycling and reuse the same thing?” The answer is no! In fact, one is actually way more beneficial to not only the environment, but also the economy and the community. To help differentiate between the two, there is no better place to start than with some definitions. 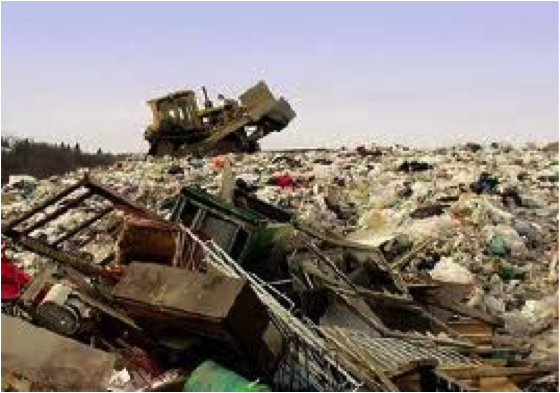 Recycling is the reprocessing of an item into a raw material that is then turned into a new item, whereas reuse lengthens the life cycle of an item. Simply put, an item is used again, in its original form, by someone else. Since recycling involves manufacturing a new item, the process also involves more energy. Energy is needed to transport and process recyclables, as well as to create new items from salvaged materials. In addition, many recyclables ultimately end up in landfills as alternative daily cover (ADC). Landfills are required to cover their waste everyday in order to prevent odors and health risks. Traditionally soil is used, but more recently “green waste” and plastic tarps have been introduced as alternatives. Plus, many argue that recycling perpetuates our society’s “throwaway” attitude. For example, instead of buying a thermos we still buy bottled waters and think we are being green by recycling the bottles. Now this is no reason to go calling up your city and requesting that they take back your recycling bins. That is not the point of this post. Recycling is still good and necessary in certain situations. The point of this post is simply to get you to think reuse before you think recycle. Reuse keeps materials out of our landfills, preserves energy, conserves resources and reduces greenhouse gas emissions. It also generates more employment opportunities than disposal, or recycling. When you think about managing 10,000 tons of materials, incinerating creates 1 job; landfilling creates 6 jobs; recycling creates 36 jobs; and reuse has the potential to create 28-296 jobs (source: US EPA, Institute for local Self Reliance). A big plus in a state, like California, with one of the highest unemployment rates in the country. A few examples of reuse-based, green collar jobs include the management and non-management positions at businesses and non-profits such as Deconstruction & Reuse Network, Habitat for Humanity ReStores and IRN. Also positions at remanufacturing companies, building materials reuse centers, consignment stores, computer refurbishers, creative reuse centers, deconstruction firms, food rescue agencies, furniture reupholsters, industrial materials exchanges, online resellers, reclaimed-material artists, thrift shops, and toner-cartridge remanufacturing. Not only is reuse a friend to the environment and the economy, it is also great for the community. It creates an affordable supply of goods and brings needed materials to groups and individuals that would otherwise not be able to afford them. That’s what happens at Deconstruction & Reuse Network when we dismantle a home and donate finished materials and appliances to Habitat for Humanity ReStores, or lumber to Corazon in Baja. The Institutional Recycling Network (IRN), offers an outlet for corporate, healthcare, restaurant, and educational surplus, which they send for reuse by charities in disaster relief and economic development. When you consider how many California businesses are downsizing and shutting down, that’s a lot of office furniture that could end up in landfills. So, if you are thinking about remodeling your home, or office, make reuse your first option. It may reward you with cost savings or tax benefits plus the peace of mind in knowing that your actions support environmental and social sustainability.